Child $71.40: Retail Price $84.00 | You Save $12.60 Children under the age of 12 qualify for this pricing. Imagine stepping back in time, to an age before Westerners had ever set foot in the Americas. In front of you lies a magnificent pyramid, covered with incredible artwork. All of a sudden, you sense something- Kukulcan, the feathered serpent, is making his way across the sky! 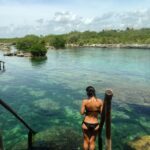 It might sound like a fantasy, but believe it or not, you can actually experience all this for yourself. How? 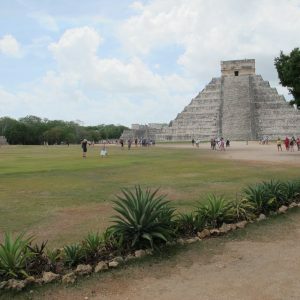 Why, with our Chichen Itza night show from Playa del Carmen! Since the Chichen Itza night show needs to take place after dark, this tour leaves a little later than our other offerings, at approximately 1:00 PM. 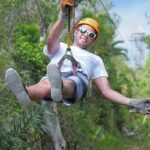 We’ll pick you up, and then whisk you away to the Mayan capital in our fully air-conditioned tour vehicle. 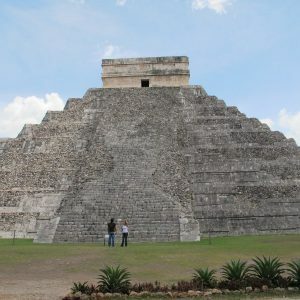 Once we arrive, you’ll be simply blown away by the site, which is dominated by the huge pyramid, “El Castillo”. To give you a bit more insight into this unique place, you will then be given a fully guided tour by an expert historian, which lasts around one and a half hours. Your guide will walk you through all the main sights, and teach you about the people who once called this place home. There’s so much history here that you can almost feel it rising up out of the ground around you. 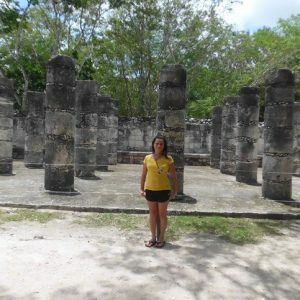 With the tour complete, you’ll then be given some time to explore Chichen Itza at your own pace for approximately 1 hour. 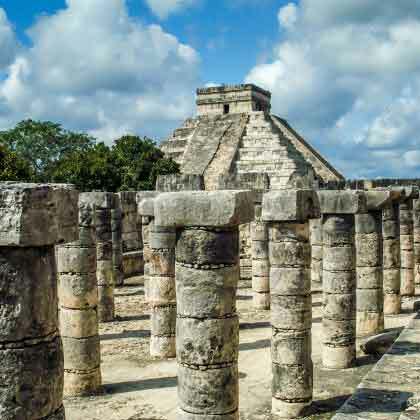 Whether you want to gaze up in wonder at the intricate carvings which cover El Castillo, explore the Temple of a Thousand Warriors, or simply stroll through the site and try to picture what life was like here, the choice is yours. 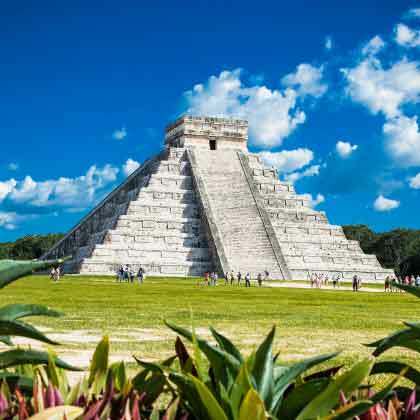 We’ll then reconvene for a delicious, traditional Mexican meal for dinner, letting you experience the history of Chichen Itza via another one of your senses. Of course, this is all leading up to the main event: the Chichen Itza night show itself. 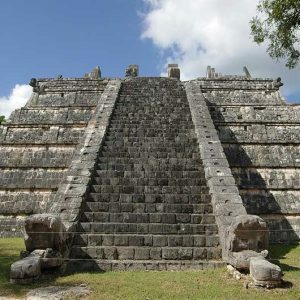 At the equinox, the Mayans believed that the god Kukulcan, a feathered serpent, was moving southward through the skies. Back then, El Castillo would have been the center of the celebration, and the people who run the sight decided that they would try to recreate some of that Mayan magic for everyone to enjoy. At 7:00 PM, the Chichen Itza night show from Playa del Carmen begins- a truly spectacular sight that will leave you breathless. 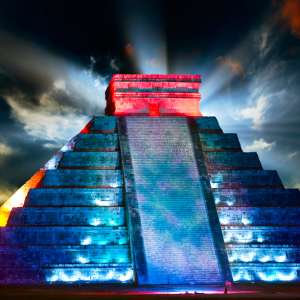 The laser show is projected directly onto the side of El Castillo, in a way that represents the colors and sights that would have come with a very special Mayan celebration. What’s more, there’s also a vivid soundtrack to complete the show, and really transport you back to Mayan times. Once the Chichen Itza night show is complete, we will then head back to Playa del Carmen at around 8.00 PM with your return to your hotel around midnight. 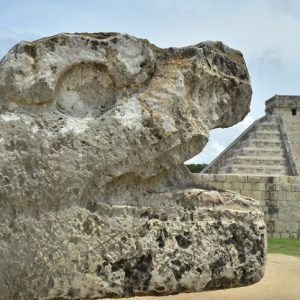 Our Chichen Itza night tour from Playa del Carmen is a fantastic way to experience something a little bit different to the standard Mayan tours, and really get a sense of how incredible this ancient civilization was. So, if you want to really capture some of that Mayan magic, make sure you book a place on our Chichen Itza night show from Playa del Carmen today! 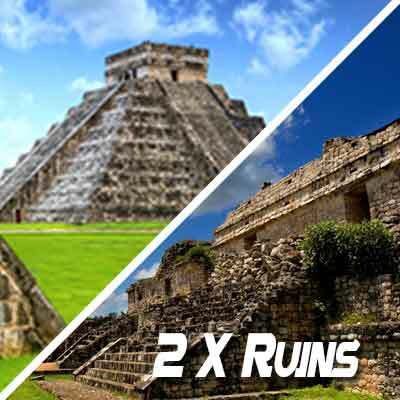 *You will receive your Chichen Itza Night Show tour confirmation within 24 hours of purchase. Next day tours must be reserved by 7 pm, and confirmation will be expedited if available. For next day orders after 7 pm, or any other questions please email us at info@wonderousworld.com and one of our team will be happy to assist! I would highly recommend this tour. The guide was very knowledgeable and the bus was not to bad. It’s a late night but well worth it. It was beautiful.